Trees are hardy plants, and their roots fight back against man-made limits around them. In urban and suburban landscapes, tree roots are often forced to grow between buildings or under driveways and walkways—and they can cause costly damage if left unchecked. “Before you plant a new tree in your yard, you need to understand how a tree could damage your property, and take appropriate measures to prevent that damage,” says Tchukki Andersen, a board-certified Master Arborist and staff arborist with the Tree Care Industry Association (TCIA). Woody tree roots thicken as they grow, gradually pushing shallow roots toward the surface. Since soil near the surface is best suited for root growth, most tree roots are just below the surface, placing them directly in conflict with man-made obstacles. Where the soil is covered by a solid driveway or patio, upward growing roots will grow against the underside of the pavement or pavers. Some homeowners, masons and landscapers manage intrusive roots by grinding down or removing them. This can be expensive, and is harmful to the tree. Wounding a tree’s roots creates points of entry for pathogens, leaving a tree vulnerable to disease. Cutting major roots also reduces a tree’s ability to absorb nutrients and water, leaving it more susceptible to drought. In addition, cutting roots can reduce a tree’s structural support, which increases the danger the tree will topple onto your house in high winds. • The farther you cut from the trunk, the less threat to the tree’s health, and the less danger of creating a hazard. • Avoid cutting roots greater than 2 inches in diameter. • Prune roots back to a side or sinker root (one that is growing downward) when possible. • Roots recover from being severed when you cut them cleanly with a saw, instead of breaking them, and mulch and water well after pruning. • Consult a qualified arborist when cutting within a distance equal to five times the trunk diameter to the trunk. • Install physical root guides and barriers that redirect tree roots down and away from hardscapes with minimal impact on the tree. • Curve new hardscape features, such as a driveway or patio, around the tree roots. • Suspend hardscape features on small pilings to bridge over roots. Ultimately, the best way to keep the trees and their roots on your property from causing damage is to select species that match site conditions, Andersen says, and to avoid planting large shade trees within 12 feet of hardscapes. In areas within five to seven feet of a paved area or structure, plant trees that grow to a mature height of less than 30 feet. In areas within seven to 10 feet of a paved area or structure, plant trees that grow to a mature height of less than 50 feet. Reserve trees that mature to higher than 50 feet for areas with at least 12 feet of clearance around the trunk; this allows adequate space for the roots. A professional arborist can assess your landscape and work with you to determine the best trees to plant. What was the Good News for May? According to personal finance technology company SmartAsset, Dallas-based Dave & Buster’s Entertainment Inc. is the country’s second-best performing stock in the nation over the past five years. The Dallas-based entertainment company was the only North Texas business to make SmartAsset’s ranking the nation’s top 10 publicly traded companies, coming in second to Reno, Nevada-based Eldorado Resorts. In SmartAsset’s study, D&B logged an average annual return of 73.42%, soaring above the national average of 5.52%. The company held its initial public offering less than two years ago, and they have seen rapid physical expansion and revenue growth in that last two years. It opened 10 of its large-format entertainment centers in 2015, and has 83 centers in the U.S. and Canada. It has also signed a seven-store master development agreement for the Middle East. The company plans to open another nine to 10 locations this year. Almost 40 North Texas hotels are under construction, including the new Renaissance Hotel at Legacy West in Plano. More than 16,000 additional hotel rooms are in the works in the Dallas-Fort Worth area – a 41 percent jump from a year ago, according to a new report from Lodging Econometrics. Lodging Econometrics reports that there are currently 39 hotel projects under construction in the D-FW area, and 63 hotels are expected to start in the next 12 months. D-FW currently ranks third in the country in hotel construction, behind New York (101 hotels) and Houston (41 projects). Out of the hotels being built in North Texas, 29 are Marriott International flagged projects, Lodging Econometrics said. Since 2009, Flower Mound has seen a net increase in jobs of 10,687. 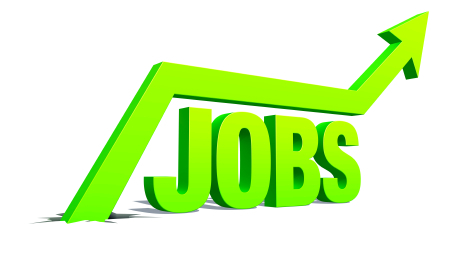 In 2015, there were an additional 1,782 net jobs and already in 2016 Flower Mound has increased 1,487 jobs net. Increased employment brings sales tax revenue and home sales! The first Metroplex location for the popular Buc-ee’s Travel Center will open at the southwest corner of Texas 114 and Interstate 35W — across from the Texas Motor Speedway — at 6 a.m. Monday, 05/23/16, a store manager confirmed this week. There are scheduled to be 240 employees at this location. The north Fort Worth store will be the company’s 25th location, with another is scheduled to open later this year in Denton, on I-35 near Brinker. Most of the company’s stores are located in south Texas, with the closest store currently in Terrell. Park Place Dealerships is about to break ground on a new Jaguar and Land Rover dealership on the south side of Texas 114, near Texan Trail, in Grapevine, with the facility expected to open in spring of 2017. Park Place Jaguar Land Rover will be built on 8 acres and will relocate the Park Place Jaguar business from Plano. Park Place Jaguar Land Rover will feature a two-story building with 30 service bays, 12 “make ready” bays and a showroom that can hold 12 cars. The service area will hold 9 vehicles and include a 2,800-sq-ft car wash. The company already operates Park Place Lexus and Park Place Motorcars — the latter a Mercedes dealership — in Grapevine. In recent months, the options for online shopping with curbside and home delivery have multiplied with Kroger, Wal-Mart, H-E-B Central Market and Amazon.com expanding and increasing online options in Texas. Beginning June 1, 2016, Google Express becomes available in DFW also. Google isn’t building its own fulfillment center, but instead will open their service throughout Texas in partnerships with Costco, Walgreens, Barnes & Noble and Whole Foods Market. After running your furnace all winter, it’s a good idea to get your air ducts cleaned come spring. This is particularly crucial if you’ve had any work done indoors over the past year, as construction dust and debris can build up in your ducts, reducing your HVAC system’s efficiency. Likewise, if you or your family suffers from allergies, cleaning out the ducts periodically can help improve your air quality. The average cost to fertilize your lawn is around $.03 a square foot, assuming a 6,000-square-foot lawn. The total costs range from around $.02 a square foot for a DIY job to $.04 a square foot during the peak season.